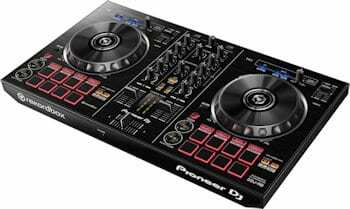 This is Pioneers entry level DDJ-RB 2 channel DJ controller. This controller made our list for the top 10 DJ controllers of the year. 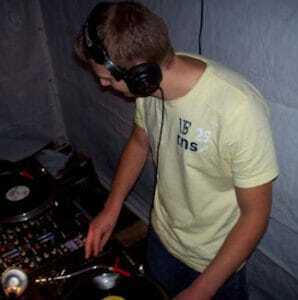 It offers awesome value for money and is perfect for beginner DJ's just starting out. It comes in at less than $300 and even comes bundled with Pioneers amazing Rekordbox software. If you're new to DJing, Rekordbox is Pioneers very own digital DJ software. It allows you to play tracks directly from your computer and control them using hardware. It also lets you add lots of fun things to your set like loops, samples, and effects. If you don't know much about controllers you should know that they need software like Rekordbox to work. You can't put CD's in to them or use them like stand alone players. If you already have software or don't fancy Rekordbox, this controller will work with many other programs. The first thing you notice is that it looks kind of familiar. 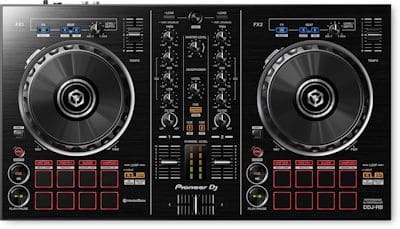 That's because the DDJ-RB shares many of its features with the earlier and still very popular Pioneer DDJ-SB2. But Pioneer have surprised us with a few awesome upgrades on the new DDJ-RB. Before we get to the features you're probably wondering who this controller is aimed at. 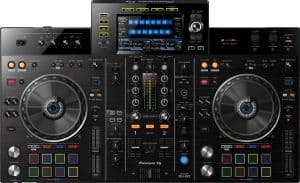 Well being under $300 the DDJ-RB could definitely suit DJ's on a budget. But don't let the word budget fool you, this controller feels like it should be in the higher price bracket! Being light and compact it would also be suitable for the mobile DJ as a main or back-up controller. And, being fairly simple the DDJ-RB could also be recommended to beginners, or DJ's moving over from CD's/vinyl to digital mixing. The next thing you notice after the initial un-boxing is just how light this controller is. I was quite amazed to find out that it only weighs just over 2 kg! Another thing about the DDJ-RB that will make the mobile DJ's happy is it's size. The overall width is 482.6 mm. Depth is 272.4 mm. Height is 58.5 mm. This makes the controller very easy to transport to and from the venue. And makes fitting it into carry bags, storage rooms, and small vehicles very easy. This could also be great for bedroom DJ's with limited space at home. You'll find that the case is made from plastic but don't let that put you off. The DDJ-RB doesn't feel at all cheap or flimsy. Pioneer knew this controller would be used by working DJ's so you can rest assured that it's very durable. The DDJ-RB has a built in 24 bit sound card which will give you crystal clear audio playback. This also means you won't need to buy any separate hardware to get in the mix. On the rear of the unit you will find a USB port that allows a simple plug and play option. All you have to do is plug it in to your computer, open Rekordbox and you'll be ready to go! The USB connection will also give you the option of using your computers internal/desktop speakers. A great option if you're still putting your set-up together and don't yet have monitors. On the back you'll also find two RCA master outputs. And a 1/4" Jack microphone input with a level control knob. The front of the unit offers just a single 1/8" jack input for your headphone. A little underwhelming but this is a budget controller after all. And don't worry if your headphones have a 1/4" plug. Adaptors are easy enough to get hold of and are very cheap to buy online. Back up on top you'll see a nice easy on the eye layout. It may look minimal but once you start playing around with its features it really comes to life. You'll also find that it's a very well thought out and intuitive design offering more than meets the eye. The deck section offers large 128mm jog wheels. These may seem oversized considering the size of the controller, but for me large jog wheels are a bonus. You'll also appreciate the size of the jog wheels if you enjoy scratching. The jog wheels are more than capable and feel very responsive to every movement. They're also very sensitive to the touch and have no lag when used in conjunction with Rekordbox. Props to Pioneer for including large jog wheels on a smaller controller, not many manufacturers do! Below the jog wheels you'll see 8 performance pads. This is one of the standout upgrades from the DDJ-SB2 which only had 4 performance pads. The other 4 were used for play/pause, cue, sync, and shift. The DDJ-RB will let you use these 8 pads to assign up to 8 hot cue points, FX, slicer, samples, loops, and beatjump. You'll also see the loop enter/exit function to the side. And a set of play/pause, cue, and shift buttons. There's also a sync button that will do the beatmatching for you. Perfect for those that like the extra time to play with the controllers functions. Or a great option that will help beginners, or people that simply don't wish to manually beatmatch. For those that do need the ability to manually beatmatch you have pitch control sliders at the top. These are used to change the speed of the track you're playing. These are fairly small and make manual beatmatching tricky at first. This could be a big change if you're coming from a controller with longer sliders. But I find these easy to get the hang of after a few mixes. Lastly you have the effects panel with a parameter adjustment knob. Using Rekordbox you'll have a bank of different effects that you can use to give your set something extra. The DDJ-RB 2 channel mixer section is uncluttered and simple to use. Here you'll be able to control 2 decks from the Rekordbox interface. You have a nice loose crossfader, again great for scratching and mixing alike. And the up faders feel great, not too loose but not overly tight. Up above you'll see the low/high pass filters and a 3 band EQ with trims, these also feel solid. At the top you have your library search function. This allows you to find and select a track within the Rekordbox music library. This makes choosing your next track simple without messing with your mouse or track pad. You can then assign it to the deck of your choice using the load buttons. In the middle you get a master volume for your main volume level. A headphone section with volume level and cue adjust. And lastly a set of separate channel VU meters. These will help you to set the levels correctly to avoid clipping, distortion, and equipment damage. Overall the DDJ-RB is a great little controller. It's made by a company with a great reputation for building good solid, long lasting DJ kit. The DDJ-RB comes as the full package, ready to mix. This is fantastic considering the price of this unit and will open the doors for many aspiring DJ's. 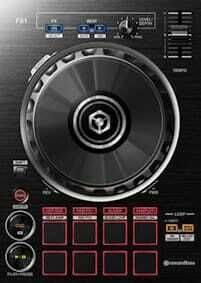 Although very similar to the DDJ-SB2 there are some great additions to the RB. These additions make this controller work perfectly in conjunction with Rekordbox. It also gives more flexibility working with samples, loops, and effects by including 8 performance pads. But there is one thing certain DJ's will need that was present on the DDJ-SB2 that isn't present on the DDJ-RB. This is the ability to control 4 decks by simply switching the channels over on the controller. But still a great solid controller for DJ's that don't need the 4 deck option. Awesome price! Now at less than $250 the last time I checked! Light but durable, well suited for working DJ's. Simple enough for beginner DJ's. Comes bundled with software making set-up easy. Excellent jog wheels, great for scratching. Easy on the eye layout. PC master out allows for easy computer set-up without the need for extra speakers..
Only includes one 1/8" headphone socket. A 1/4" socket would be nice. No ability to use the 2 channels for 4 deck control like the DDJ-SB2 has. All it needed was a simple switch.